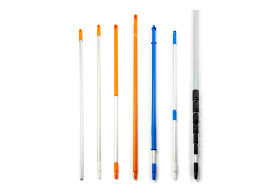 Undoubtedly the widest range of colour coded cleaning equipment and utensils for hygiene regimes and production areas in support of food safety. Welcome to Klipspringer's colour coding family, KsPrism, presenting you with food contact approved hygiene and production utensils in a marketing leading range of 11 colours - white, blue, red, yellow, green, black, orange, pink, purple, grey and brown. 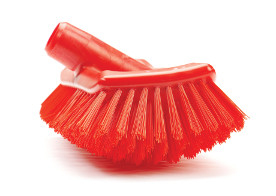 We offer colour coded brushware, squeegees, scrapers, shovels, buckets, mopping systems, microfibre cloths and cleaning solutions, as well as specialist glass breakage and spill control kits for the food industry, and much more. Designed and manufactured to the highest standards in hygiene and food safety, KsPrism's objective supports the constant drive for continous improvement and lean management through the application of 5S principles. Audit demands have never been greater - KsPrism is commmited to streamlining and simplying the food and beverage manufacturing process, from pasture to palete, through focusing on efficiency and effectiveness. 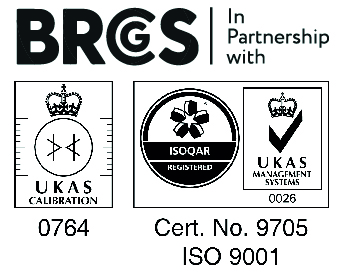 Established as a symbol of quality, durability, reliability, as well as innovation, many of the UK’s largest (and smallest) food and beverage processors rely on KsPrism utensils to help meet their stringent compliance requirements. Find out more about the KsPrism brand here. Food grade hygiene and production utensils in up to 11 strong colours - including new pink. 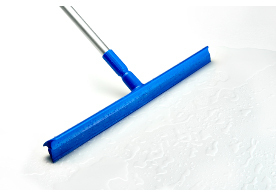 Almost certainly the world's best hygiene squeegees - single-blade, condensation squeegees and double-blade. A wide selection of scouring pads for every application - including the food grade cleaning pad. 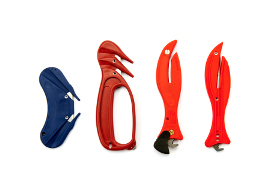 Reach new heights with KsPrism colour coded handles available in aluminium, ergonomic, and one-piece designs. 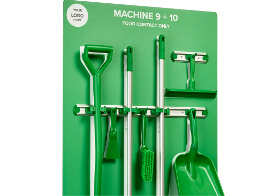 Regular, waterfed and extending handles available in 11 colours. Universal thread. 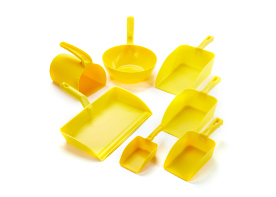 KsPrism offers a range of food contact approved one-piece, two-piece, and hand shovels in up to 11 colours. 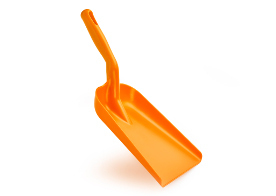 Ergonomic, one-piece shovels improve operator posture reducing H&S risks. 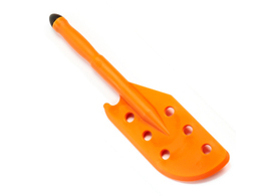 KsPrism offers a food contact approved and colour coded paddle for every application - from short handheld stirrers, to long-reach heat resistant paddles. 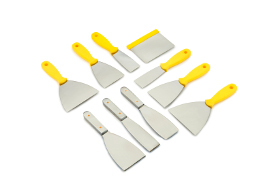 KsPrism's food contact approved hygiene scraper range includes stainless steel and colour coded scrapers/spatulas for every application, no matter how demanding or delicate. KsPrism's range of colour coded and food contact approved scoops includes round bowl scoops, graduated fodder scoops and ergo. 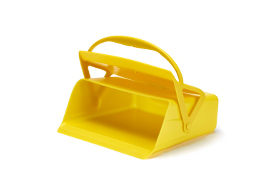 rectangular scoops, from 250g to 2ltrs, in up to 11 colours. 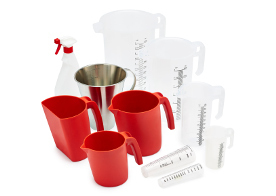 KsPrism offers a wide range of food contact approved jugs, cylinders and trigger sprays bottles - including colour coded and clear graduated pouring jugs, as well as graduated stainless steel jugs. 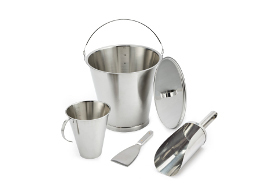 Regular wash-down buckets to graduated stainless steel buckets. 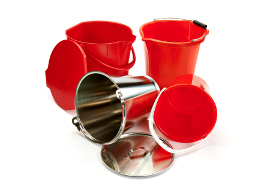 The KsPrism food contact approved bucket is available in 11 colours, delivering the ultimate in hygiene and performance. KsPrism's range of stainless steel scoops, scrapers, graduated buckets and jugs are manufactured from food contact approved stainless steel, grade 316. 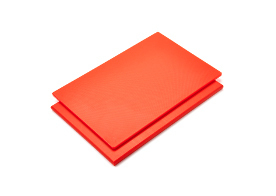 Medium and heavy duty colour coded, food contact approved chopping boards, in a number of sizes and 5 colour options from stock. Bespoke dimensions available by special order. KsPrism's range of safety knives includes detectable and food contact approved options of the popular fish knife, penguin knife, twin-wing knife, as well as the retractable safety knife. 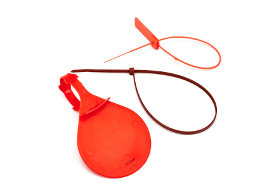 From identification tags to cable ties, the KsPrism range is available in a selection of food contact approved colours. The unique TuffX universal identification tag is hardwearing, pliable and adjustable. 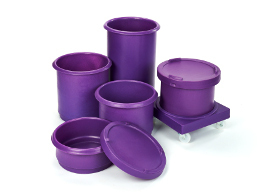 KsPrism's range of interstacking and tapered bins, trucks, dispensers and tanks are roto-moulded for maximum strength and to prevent shattering. 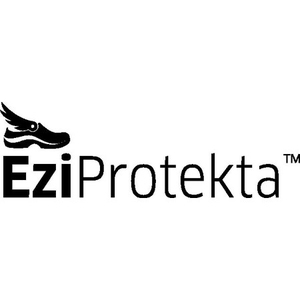 Multiple sizes available. 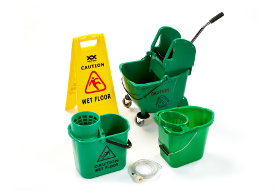 All you need to deal with a glass breakage incident or an allergen spillage (liquid/ solids/ powder) swiftly and effectively in one ready to use colour coded kit. 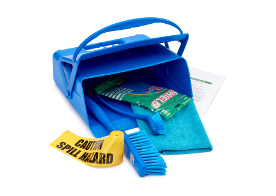 Food contact approved lobby pans, heavy duty foodgrade production pans, or simple dustpan and brush sets - the KsPrism hand and lobby pan range comes in 11 strong colours.